Hertz Global received the 2016 Best Practice Award for large business from Sustainable Florida, the state's premier organization promoting a better social, environmental and economic future. Hertz was recognized for the company's accomplishments and leadership in sustainable design. Hertz Global Holdings earned top honors from The GBTA Foundation, the education and research arm of the Global Business Travel Association (GBTA), and Project ICARUS in their fourth annual Sustainability Outstanding Achievement Awards. Hertz received the award for sustainability in the Travel Supplier category, noting that the company's work in negotiating bespoke contracts to support travel buyer carbon reduction goals stands out. The awards recognize travel buyers, suppliers and intermediaries who can demonstrate outstanding leadership, innovation and commitment to delivering best-in-class sustainability programs, products and services across North America. 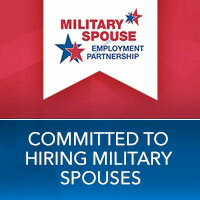 Hertz partners with the Military Spouse Employment Partnership Program to provide jobs to military spouses. 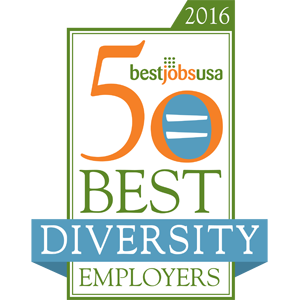 Hertz was recognized for our commitment for growing a rich and inclusive workforce. Diversity celebrates individual qualities and perspectives that candidates bring to the table. Inclusion is the dedication to uniting all members in a supportive and productive workplace. 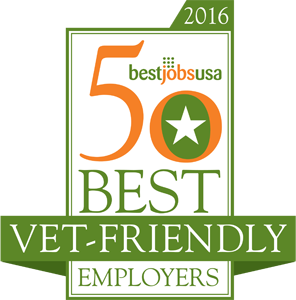 Hertz was recognized for recruiting talented U.S. veterans and military personnel who are transitioning into the workforce. For the third consecutive year, Hertz was named the Best Car Hire Provider for both Corporate and Leisure business at the Irish Travel Industry Awards 2016, hosted by the Irish Travel Agents Association (ITAA). The judging panel from the Irish travel industry recognized Hertz's outstanding service to the travel trade in Ireland. The award also acknowledges the global service to Irish travelers driving Hertz rental cars in areas around the world. Hertz Sweden was named Best Car Rental Company in Sweden at the Grand Travel Award – Travel's version of the Oscars -- for the fourth year in a row. The winners are voted on by more than 1,000 travel industry professionals ranking who they see as being best in the various travel segments. Hertz Norway was named Best Car Rental in Norway at the Grand Travel Award 2016 for the third time in a row. The award is very well regarded in the industry as it is voted on by Norwegian travel trade professionals, TMC's and Tour Operators. Hertz was named both Best Car Rental Company in Europe and Best Car Rental Company in the World at the Business Traveller Awards Poland 2015, after having been voted by Business Traveller's readers. Each year Business Traveller's editors survey its readers who, on the basis of their own experience, recommend the best corporate travel products of different categories. Thrifty Car and Van Rental has received the LeasePlanRental Supplier of the Year award for the second consecutive year. LeasePlan recognized Thrifty as the most reliable rental supplier, offering exceptional consistent service levels combined with the capabilities of being the most flexible to assist LeasePlan in achieving their overall growth objectives. Hertz UK Van Rental was named the Best Daily Van Rental Company for 2016 by the Online Vans magazine and portal VansA2Z for the second consecutive year. The award recognizes Hertz UK Van Rental's “comprehensive and excellent all-round customer services backed up by exceptional levels of innovation and initiatives”. Particularly, the jury praised Hertz UK Van Rental's dedication to ongoing customer care development, aptly demonstrated by its annual growth. Hertz Italy was named the Best Car Rental company for business travelers by Mission Magazine at the Italian Mission Awards (IMA) hosted in Milan. The awards, organized by the editorial group Newsteca were voted on by a group of 11 industry executives, while the event was attended by more than 250 travel and tourism professionals. The program was named the Best Rewards Program in the Americas, Europe/Africa and Middle East/Asia/Oceania. Hertz Gold Plus Rewards also received the Outstanding Benefits recognition across the Americas, Europe/Africa and Middle East/Asia/Oceania. From more than 100 affinity programs, FlyerTalk members voted Hertz Gold Plus Rewards for the fifth time as the top worldwide car rental loyalty program. 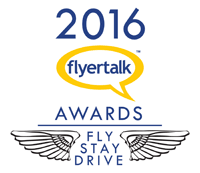 The FlyerTalk Awards are held annually and determined by the FlyerTalk community, a group of half a million frequent business and leisure travelers that vote once a year for the best affinity programs within the Fly, Stay and Drive categories. The Vacation.com membership voted and The Hertz Corporation was awarded the Vacation.com North American Ground Transportation Partner of the Year – Power of the Partnership Award. The award is one of the highest honors members of Vacation.com can bestow, identifying Hertz as a key factor in their ability to offer outstanding products and services to their clients. Uniglobe Travel Center, the premier host agency division of Uniglobe Travel USA, named Hertz the Favorite Rental Car Company for 2016. The Uniglobe brand is an internationally trusted and respected name in the travel industry. Since 1996, UTC has been a leading host agency helping travel agents build their businesses and realize their dreams. 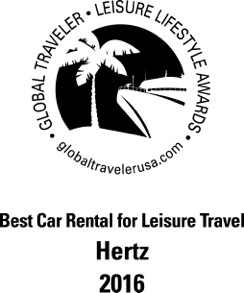 Global Traveler, the only monthly magazine for business and leisure luxury travelers, named Hertz the Best Car Rental for Leisure in its fourth annual Leisure Lifestyle Awards. Global Traveler's elite Globility Board and the highly experienced magazine staff made nominations in each category. Global Traveler's Globility Board consists of well-traveled subscribers who act as a direct link between the magazine and our readers. From these nominations, Global Traveler's esteemed Advisory Board selected the final winners. The Advisory Board is comprised of well-traveled executives across a broad range of industries. Hertz was named for the second consecutive year as the Best Car Rental Company in the Middle East at the Business Traveller Middle East Awards. The awards celebrate the very best of business travel and are voted for independently by the readers of Business Traveller Middle East. For the third year running, Hertz was named the 2016 Travelers' Choice for Car Rental in Italy by TripAdvisor's community of global travelers. This year, 30,000 travelers voted to recognize their favorite travel brands. Hertz was named the Best Car Rental Company at the first edition of the Italian Travel Awards, born to be the Italian “Oscars” of the travel and tourism sector. The awards celebrate the industry's dedication and professionalism in Italy. The Italian Travel Awards were voted on by more than 6,500 travel agents and travelers. The Victoires du Tourisme are awarded to the best contributors to the travel and tourism industry and decided by travel agents and readers of the Quotidien du Tourisme magazine. The company was recognised with the prestigious International Business Excellence (IBX) Award for promoting continuous improvement, learning and personal development. Hertz Hungary received Business Excellence Award for the Best Car Rental Company for the sixth time. The Business Excellence Awards recognize Hungary's top providers in the tourism sector. Care Rental is one of the awards' nine categories. The nominees for each category are decided by a jury of travel and tourism professionals, while the winners are voted for by the magazine's readers. The company received this recognition for the second year running. The Travel Media Awards are the only awards in Ireland that call on members of the media to vote for their favorite companies in the travel trade. Launched in 2011, the awards have since grown to become one of the highlights of Ireland's annual travel industry calendar. For the second consecutive year, Hertz received both awards voted for by qualified executives from travel and tourism as well as by discerning consumer travel buyers. World Travel Awards™ supports, promotes and develops the global travel and tourism industry by identifying and rewarding excellence and inspiring its practitioners to continually raise the standards of their product and service offering. The accolades were awarded during a ceremony held in Lima, Peru. For the 9th time in 10 years, Hertz Australia received this award from the Australian Federation of Travel Agents (AFTA) as a recognition of its overall excellence in the travel industry over the past 12 months. The NTIA's are voted by AFTA's membership base, and receives an average of over 3,600 industry votes during the polling period. AFTA is the peak body for Australia's travel agents and represents the majority of the industry nationally. The Gala Dinner held in Sydney was attended by more than 170 travel industry representatives. Hertz was named Favorite Car Rental Company in the second annual Trazees, the awards from trazeetravel.com, a unique web publication written for and by travelers aged 18–35, created by the team at FX Express Publications, Inc./ Global Traveler. Hertz New Zealand received top honors in the Reader's Digest Trusted Brands Car Rental Company category 2016, after receiving the Highly Commended Award from the same publication in 2015. the Reader's Digest Trusted Brands survey has been running in New Zealand for 16 years and has built a reputation as the leading indicator of brand trust amongst kiwis. This year's survey was conducted in over 30 countries in partnership with independent research agency Catalyst Research. The awards were introduced in in 2015 by the Business Traveltip magazine, and has since become a popular event held alongside the Swiss Travel Management Forum, the most important meeting of the country's business travel industry. Winners are selected based on the vote of both the magazine's readers and a jury of industry experts. For the third consecutive year, Hertz won the Evimetrix Swedish Brand Awards 2016 for the car rental category. The awards recognized the strongest brands in 35 industries and categories in Sweden. The brand survey, conducted by the consulting firm Evimetrix, measured consumers' attitude towards more than 500 brands, based on answers from over 6000 respondents. The Travel Hall of Fame is the most prestigious travel industry award in Asia. The 27th edition of the TTG Travel Awards saw 84 of the best and brightest in the Asia-Pacific travel trade, awarded accolades in recognition of their contribution to the industry. The TTG Travel of Fame represents the highest honor bestowed only on exceptional organizations that have achieved the feat of staying the best in their class for 10 consecutive years.